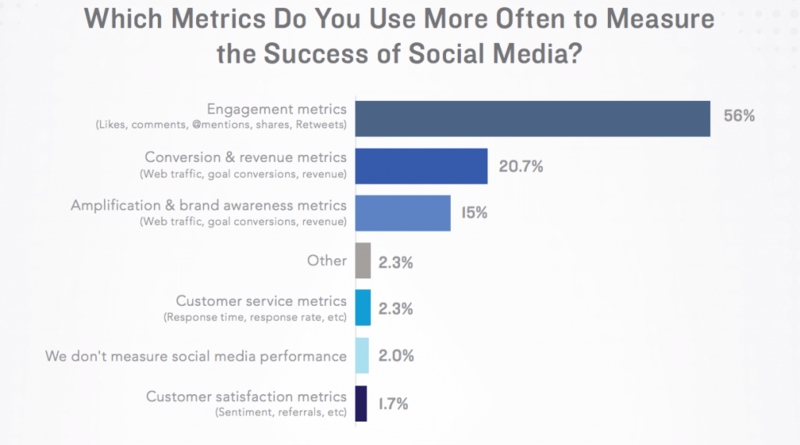 According to SimplyMeasured’s 2016 State of Social Marketing Annual Report, 61% of social marketers claim their greatest challenge is measuring ROI, and only 9% are able to quantify the revenue driven by social marketing. Those statistics may sound surprising, if not shocking, but when you learn that only 20% of social marketers use conversion and revenue metrics to measure the success of social media, it paints a clear picture: Social marketers are not using the correct metrics, methodologies, and tools to properly measure the ROI of social media marketing campaigns. This may also point to a larger issue: Marketers are not aligning the use of social media marketing to their company’s (or client’s) key business objectives. Or that business leaders themselves don’t understand the impact of social media channels on their business. If 61% of marketers claim that showing ROI of social marketing is their greatest challenge, then they haven’t been able to show their executives the impact of social on the business. Thus, the business executives don’t see the true value of social marketing. See the problem cycle here? So, what can you do to show the impact of social marketing on your company’s (or client’s) business? 1. Clearly define your key business objectives: make sure they are SMART objectives (Simple, Measurable, Attainable, Results-focused, Time-bound). 2. Based on those objectives, map your key marketing and communications objectives that will help achieve your business objectives. 3. Get strategical and tactical (don’t know the difference? Listen here): Define the channels and campaigns will reach your objectives and goals. 4. If social media marketing falls into one of your marketing channels (if it doesn’t…there’s a problem here), clearly define the role of social media in your marketing mix: Community health? Customer acquisition? App downloads? Thought-leadership? CRM? 5. Set up and use Google analytics! On the most basic level, you can see the referral traffic coming from social channels. Getting more advanced (but not really) set up conversion goals, connect your sales platform (if you are consumer), and assign value to your conversion goals. 6. Set up and use tracking pixels! Facebook has them, Instagram has them (same one as Facebook), Twitter has them, LinkedIn has them. No excuses! Get them coded into your website asap. Tracking pixels will allow you to directly see the impact your social advertising campaigns are having on the digital side of your business. They also allow you to create custom audiences for more targeted social campaigns. Do you have your own tips & tricks to measuring the ROI of social media marketing? Do you need help with measuring the success of your marketing campaigns? Comment below, ping us on social, or fill out our form and we’ll be in touch! 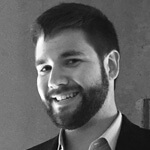 Alex Romero-Wilson is currently a Manager of Integrated Marketing at Spark, a data-driven integrated communications agency that focuses on the technology and consumer markets. He was previously a Senior Analyst at Eastwick, a Social and Digital Strategy Intern at H3O Communications, and a Jr. Social Media Analyst at the award winning communications agency, WCG. Alex’s experience of working in “startup like analytical departments” has led to his current passion of building top-tier marketing/communications measurement and analytical departments, teams and processes. Alex leads with the mantra that we ultimately “measure to inform strategy”. He is also reshaping how we think about the “R” in ROI — instead of “return”, focus on the “results” of your investment.